Join us at the Muskegon Area Norton Shore Library on April 25th, 2019. Enjoy a nostalgic journey through the popular music era with The Adams Family. With a crowd-pleasing repertoire that includes everything from folk and Doo-wop through classic rock hits. The Adams Family mines the treasure trove of the 1950s-60s music with exceptionally tight vocal, guitar and rhythm arrangements. When you hear the intricate vocal blend that only close relatives can create, there’s no mistaking that The Adams Family really IS a family. The band features three lead vocalists: Cindy Adams Kropf, her brother Jerry Adams, and Jerry’s son Brian Adams. Rounding out the group is Cindy’s husband, Dale Kropf, on bass and background vocals. Combining decades of professional experience, this entertaining quartet is a favorite at West Michigan night clubs, festivals, concert series, weddings, home concerts, and corporate events. 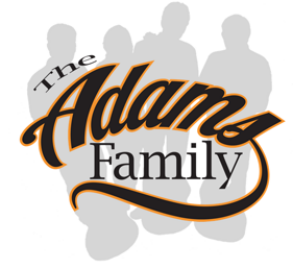 Let The Adams Family weave their musical magic for your upcoming event. "This group just brings the happies on - so talented! It's always a treat! "It was absolutely wonderful! We saw part of the show last year in South Haven and specifically came back this year just to see you all! What a fun evening singing along to the oldies we remember and love!" "My husband and I saw you at GR Festival of the Arts and enjoyed immensely." "What a great sound, great harmony. I'm a fan and can't wait to attend another concert." "We attended your performance at Fallasburg Park and enjoyed it very much especially Cara Mia by Jay and the Americans. Not many can do justice to a song sung by Jay Black but you were awesome." "Saw your concert in the rain and high winds at Mill Point in Spring Lake, and fell in rapture with your music." "Was at the concert at The Red Barn Theater in Saugatuck...Incredible!!" "All of you were so good tonight on the river cruise. You brought back a lot of 60's memories for my hubby and I. Great work and good humor for the crowd!!!!!" "The Adams Family band is amazing! I am a singer/guitar player from a family of muscians and not easily impressed; you folks knocked my socks off!" "We had the best time tonite in Grattan! Thanks for all the memories from the best music era ever! You guys are fabulous! See you next time!" "WE HAD THE BEST TIME FRIDAY NIGHT!! Your group is so much fun!!" "We heard you for the first time last week at the One Trick Pony. Your music and the presentation of it was joyful, entertaining and memorable. We would like to see and hear more."